If you’re sick of your classic spring mattress, it might be time to upgrade. In the past, most people resigned to purchasing classic mattresses because they were the only affordable options. When Tempurpedic and several other luxury brands first entered the market, they were extremely expensive – this is still the case. Fortunately, there is a new range of competitors that offer much more attractive price points. One of these new manufacturers is Avocado Mattress, who have received a lot of attention for their name. 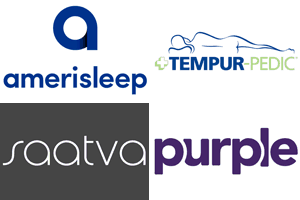 This new company has expanded rapidly – they’ve managed to become a focal point in the e-commerce mattress world very quickly. Avocado Mattress is most famous for their flagship hybrid mattress. 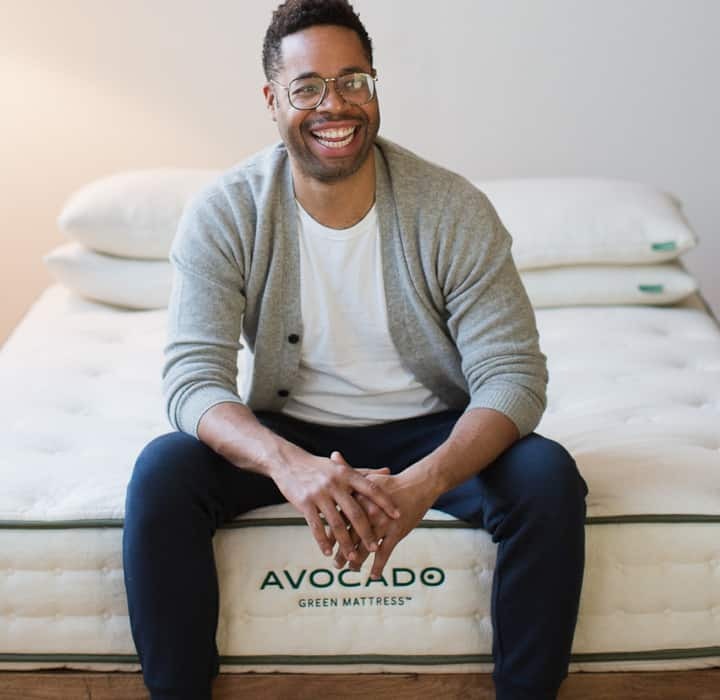 Whether you’ve seen advertisements for it, or this is the first time you’ve heard of the Avocado Mattress, you might want to consider reading this article. 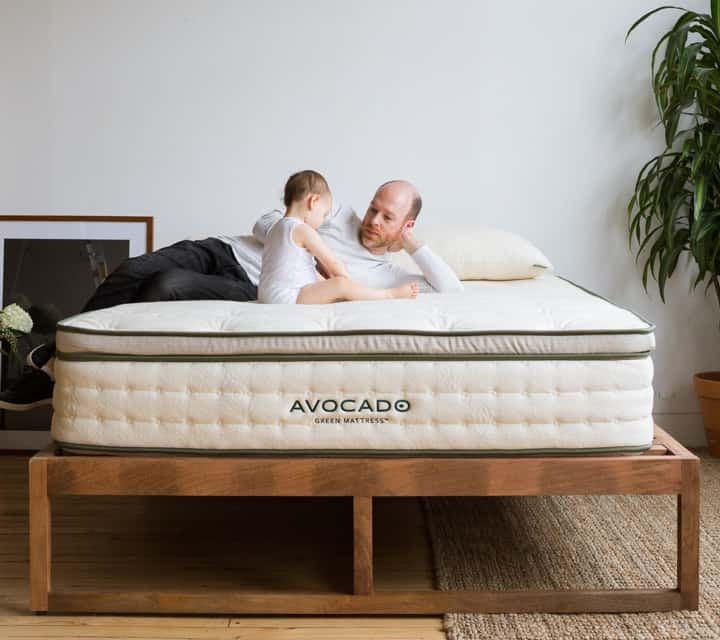 On this page, we’re going to take an in-depth look at the Avocado Mattress to assist you with making the best purchasing decision possible. As you’re well aware, purchasing a mattress is a long-term investment that warrants considerable research and thought – you don’t want to be stuck with a bad mattress because you acted too quickly. If you want to know everything you can about the Avocado Mattress, make sure to read the rest of this page before you make any decisions! Should I Buy the Avocado Mattress? One of the major benefits of an Avocado Mattress is the way that it’s constructed. Many modern mattress manufacturers aim to provide cheap mattresses that don’t offer the quality product you might be looking for. Avocado Mattress has taken advantage of a range of different materials and layers to provide a uniquely enjoyable sleeping experience. If you’re looking for something new and enjoyable, it’s hard to go wrong with this mattress. Below we will take a look at all the different components that are used to create the Avocado Mattress. Be careful to take a look at each layer – it helps you better understand how the mattress will feel, as well as the reason it feels that way. Enjoy! At the end of the day, the Avocado Mattress is made from several different layers. There are two versions of the mattress: the standard, and the one with a pillow top. Because we recommend the one with the pillow top, we will be analyzing this mattress construction for the purpose of this review. Keep in mind that the pillow top version of the mattress is more expensive, but this will be addressed later. Below is an analysis of all the included layers. The top layer is 2” of soft latex, which provides the initial comfort factor for the person sleeping on the mattress. The use of latex instead of foam ensures that there is a decent bounce present in the mattress. The second layer consists of 2” of medium latex. This provides a bit of added support for the top layer, while allowing the mattress to stay comfortable and contoured. Under the medium latex, there is a final 1” of medium-firm latex for added support. This helps provide a transition to the next part of the mattress. The fourth layer makes up most of the Avocado mattress. This is the layer that gives the Avocado Mattress some of its best features. In this layer, you’ll find independently wrapped inner coils – it’s an advanced inner coil unit that takes advantage of thousands of coils. Not only does this help the mattress remain comfortable and resistant, it also provides great breathability – this can counteract some problems you find with new foam mattresses. At the bottom is the final support layer. It consists of a simple 1” layer of dense latex – this is the firmest aspect of the mattress and it ensures that the rest of the mattress has plenty of support. DISCLAIMER: For those not purchasing the pillow top, the difference between the mattress described above and the traditional mattress comes down to the top layer of the mattress – there is no soft latex included. There will only be the 2” of medium latex, and 1” of medium-firm latex. The cover can often be one of the most important components of any mattress. If the cover is too thin, it might not help the mattress improve how comfortable it is. If it’s too thick, it might retain heat too much. With the Avocado Mattress, the cover is built into the mattress. Unlike many cheaper foam mattresses, there isn’t a cover that is stretched over the layers to keep them together. The Avocado Mattress cover is great at ensuring no heat is retained. The designers of the mattress were keen to ensure they didn’t run themselves into the same heat retention issues many foam mattress providers have. If you’re looking to upgrade your mattress, the primary thing you care about is the way it feels. Luxury mattresses are finally affordable on modest budgets, so it’s nice to take a deeper look at all the new comforts available to you. There’s no doubt that the Avocado Mattress is extremely comfortable – especially if you purchase the pillow top edition of the mattress. The great thing about having a latex top layer is the fact that it provides extra bounce. People enjoy memory foam mattresses, but they often create too much hug and contour, which can reduce the pleasure of your sleeping experience. In addition, foams tend to retain more heat, which is bad for people who often get hot while they sleep. One of the best features of this mattress is how cool it is – it’s the perfect mattress for someone who wants a mattress that doesn’t retain heat. The gaps in the coils and latex allow for the mattress to breathe, which provides a much more enjoyable sleep for those who need help keeping cool at night. In terms of firmness, it depends what version of the mattress that you purchase. If you purchase the standard version, you’ll find that the mattress is around an 8/10 – making it one of the firmer mattresses on the market. The one with the pillow top is closer to a 7/10. Either way, this means there is plenty of support in the mattress, which makes it a great option for those who weigh more than average. The only downside is that if you’re underweight, or your purchasing the mattress for a child, the amount of resistance in the mattress may create pressure points. Avocado Mattress has stuck to its winning formula over the past few years. They haven’t seen a need to change a recipe that isn’t broken. Since the company only first opened its doors in 2015, there hasn’t been much of a chance to make any changes. Keep your eyes on this space if you’re interested to see what future developments occur. We’ve spoken about how firm this mattress is – which means that you won’t see as much sinkage in the mattress as you would with other foam mattresses. A lot of this is down to the fact that there is a lot of resistance in the latex that the mattress is manufactured from. Latex provides added bounce, whereas foam absorbs the weight put onto it. Keep in mind that the level of sinkage that you experience will depend on your body’s weight distribution. If you’re looking for an extremely cheap mattress, the Avocado Mattress probably isn’t your best option. The company has aimed to undercut the price of many of the luxury brands, but it still remains at the bottom end of the luxury price bracket. There are plenty of online mattress producers that charge a much lower price if you’re looking to upgrade your traditional mattress. In addition, you have to pay for your own shipping so you need to factor this cost into your budget if you plan on having it delivered to your house. Below are the price points for each size of the Avocado Mattress. If you’re having a rough time deciding which mattress is best for you, it’s important to consider all the features that are included with the mattress. You might not realize it, but many of these features aren’t built into the mattress. Mattress producers have a range of additional features that they use to entice people to purchase their mattresses. 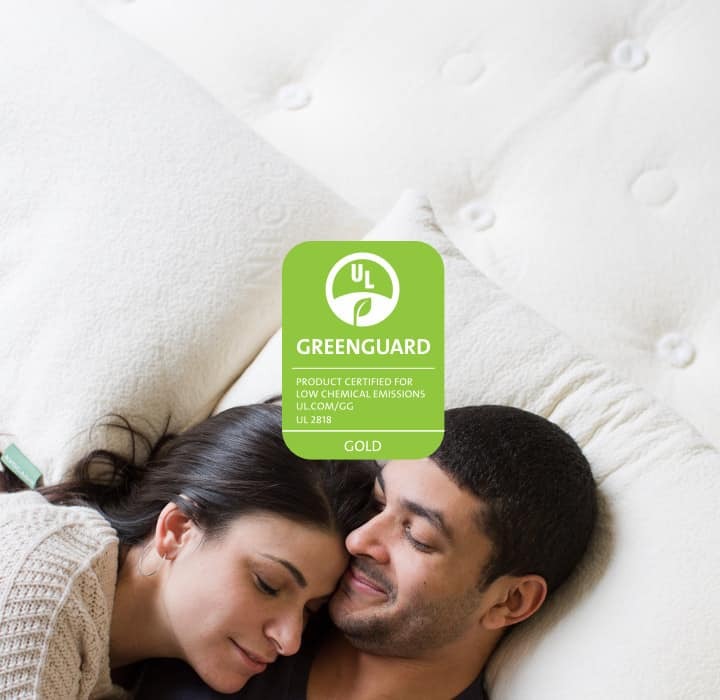 These benefits are just as crucial as other components of the mattress, so make sure they’re up to the industry standard. In this section of the article, we’re going to take a look at all the added benefits included with the Avocado Mattress – you’ll see just how important some of these features can be. This is one of the most crucial factors to consider – you want to be certain you work with a company that backs its own products. The Avocado Mattress comes fitted with a 25-year warranty. The first ten years of this warranty includes 10 years of a full replacement value, as well as return shipping. The next 15 years includes a replacement value prorated. The only downside to this warranty is the fact that the company hasn’t been around as long as some of their competitors. This means that if they end up shutting down, your warranty will be worthless. Remember, you’re investing in the strength of the mattress producer as much as the mattress. If you’re going to order the mattress online, it’s best that you know how long the trial period is. Many people order mattresses without trying them first, which can create potential issues down the line if you don’t enjoy the mattress or the way it feels. With the Avocado Mattress, you can be assured that there’s a large trial period that lets you get a good feel for the mattress. You can use the mattress for 100 days before you have to keep it – this gives you over three months in which you can return the mattress if you don’t like it. This is a longer trial period than the industry standard – many companies only offer a month. While the shipping service from Avocado Mattress offers you the feature of having the mattress set up in your house, it does come at an extra price. There is a basic shipping option that allows you to have the mattress shipped to your house for free. This is a great benefit, but it’s a pretty standard feature across the board. You don’t want to order a mattress online if you’re going to have to pay hundreds of dollars for shipping – it defeats the price advantage. Don’t stress too much if you don’t think you can pay for the mattress upfront. Avocado Mattress has financing options to help you get your foot in the door. They have financing options that include 0% financing for certain buyers. This can be a great way to spread the cost of your mattress if you don’t want to pay for the entire thing upfront. There are plenty of reasons to buy the Avocado Mattress. This new entrant to the mattress game has plenty of awesome features – it’s just what you’re looking for if you want a luxury mattress that also breathes. It can sometimes be hard to find a soft mattress that also has a great cooling, so the Avocado mattress is one-of-a-kind in many ways. The only downside is the price – you might find that it’s out of your budget if you’re looking for something very affordable. There are cheaper mattresses on the market, but few can boast the complexity and comfort of the Avocado Mattress. With a long warranty, and a decent trial period, it’s hard to go wrong if you can afford the Avocado Mattress. Just make sure this is the level of firmness that you’re looking for in a mattress. If you’re looking for another type of mattress, make sure to check out some of the other countless reviews on our site!